Explorers – Week 2 – 2018, Your Name in Lights! It was great to see such a big turnout on Saturday for our first full session. A special welcome to our Ninjas and thank you to the parents who attended with them. 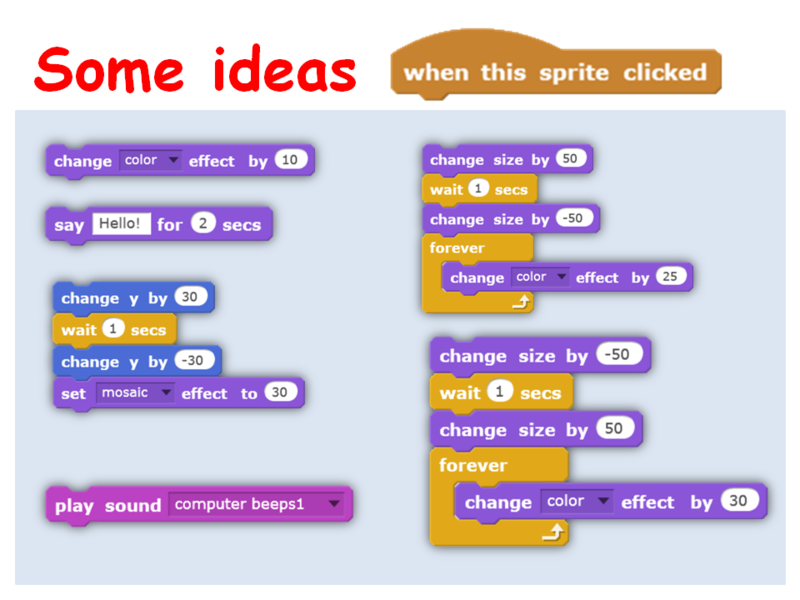 I started off this year with a session that let you you see where some of the coding blocks can be found and how we can use them. Using the Letters (Sprites) in the library, we wrote a word. Most people used their name. We took each letter and used code from different sections of the palette of code. 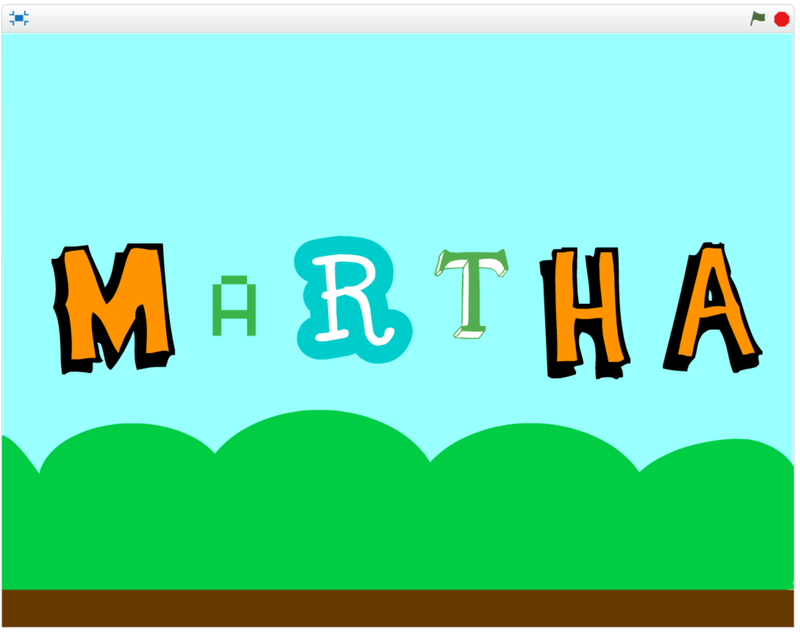 For my First letter, M, I decided that when this Letter (Sprite) was clicked, that it would change colour. Experiment to see what happens when you change the number! We used a different piece of code for each letter. Remember, you can use as many blocks of code as you want. A letter could change colour, size, move and talk! all at the same time. Here are some more ideas of what you could do. Hope see you all next week. Have fun coding!